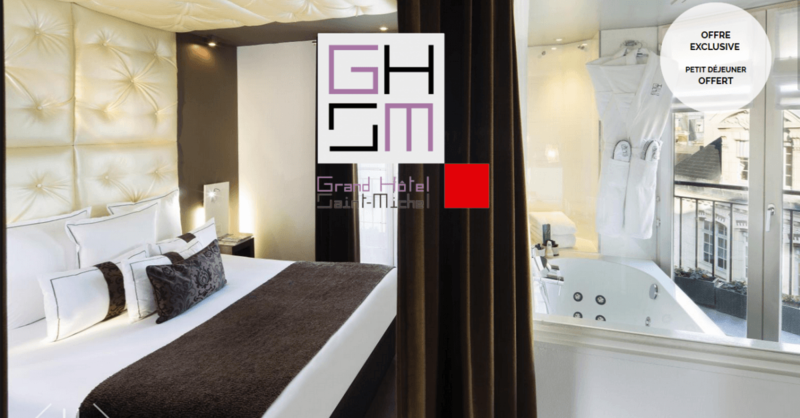 Grand Hôtel Saint Michel - A family Christmas in Paris; let the magic begin! Disneyland Paris, the most famous amusement park in France, embraces the Christmas spirit with verve and passion, allowing you to experience unforgettable moments with your family. Until January 7th, 2018, the beloved Disney characters, including the Snow Queen, invite you to enjoy morning and evening parades, illuminations, fireworks displays and magical shows, including Disney Dreams, an after-dark extravaganza. In Paris, fans of thrills and candyfloss will head for the Parc de la Villette, where a huge funfair boasting around sixty attractions awaits. Classic amusements and rides are on hand, including dodgems, carrousels and a ghost train. One of the oldest circuses in the world invites you to discover a show that always provides plenty of surprises and enchantment. Led by the famed Bouglione dynasty, the Cirque d'Hiver (Winter Circus) offers traditional circus acts performed at the highest level. Seated in this magnificent venue, you will gasp at the skills of acrobats and aerialists, admire exceptional dancers, marvel at the trained animals.... and delight in the antics of the clowns. Experience laughter, excitement, wonder, surprises and more during this fabulous circus show under the leadership of Monsieur Loyal and the white clown.